The Death of a Pope is a powerful novel by the acclaimed British writer Piers Paul Read. Juan Uriarte, a handsome and outspoken Spanish ex-priest, seems to be the model of nonviolence and compassion for the poor and downtrodden. So why is he on trial, accused of terrorist activities? His worldwide Catholic charitable outreach program is suspected of being a front for radicals. The trial is covered by Kate Ramsay, a young British reporter, who sets out to undercover the truth about Uriarte and his work. She travels with him to Africa to see his work first hand but soon finds herself attracted to him. Meanwhile an international conspiracy is growing, one that reaches into the Vatican itself. When the death of Pope John Paul II brings the conclave that will elect Joseph Ratzinger as Pope Benedict XVI, a terrorist plot involving blackmail, subterfuge, and mass murder begins to fall into place… a plot that could spell disaster for the Catholic Church and the world. Piers Paul Read’s powerful tale combines vivid characters, high drama, love, betrayal, faith, and redemption in a story of intrigue, of church espionage, and an attempt to destroy the longest continuous government in the world—the Papacy. The Death of a Pope races toward an unexpected and unforgettable conclusion. 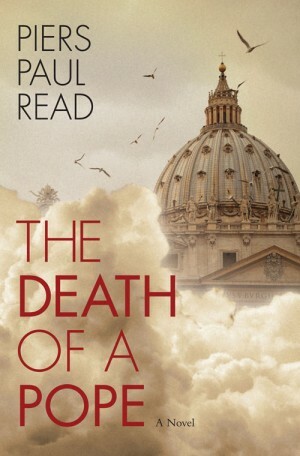 In The Death of a Pope, the versatile Piers Paul Read, who has distinguished himself in many genres, returns to what can be called the ecclesiastical thriller. If the mystery looks to the past to explain a crime already committed, the thriller aims to prevent something from happening. 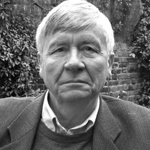 When that something is a terrorist act, planned for the Vatican, drama is assured, and Read, writing in the present tense but in multiple viewpoint, takes us from character to character, from city to city, from continent to continent, with everything converging on the Vatican during the conclave following the death of John Paul II. To say more would rob the reader of his pleasure. The Death of a Pope is a great Read – in every sense of the term. The Death of a Pope is a faith-driven theological thriller, narrated by a storyteller of the first order whose unassailable orthodoxy is as refreshing as it is rare among the bedraggled ranks of contemporary novelists. Find other books and articles related to The Death of a Pope.